I still remember it like it was yesterday. I was walking through my local Hollywood Video with my Mom when one game in particular caught my eye: Paper Mario. I had to have it. It was decidedly one of the core pieces of my childhood, intertwining itself in sleepovers, my first all-night game session, everything. If you were anything like me you had the same experiences: playing Thousand Year Door, loving it, playing Super Paper Mario… kind of loving it. Then we got the atrocity known as Sticker Star. The fan base was admittedly shook. What had Nintendo done to us? Why had they forsaken us? Then, Paper Jam. After Nintendo’s previous failure I was a bit unwilling to give them my heart again. They’d already destroyed my hopes of a new Paper Mario game, now, to combine that with my other favorite Mario series, Mario and Luigi? That’s a risk. Thankfully, it was a risk worth taking. 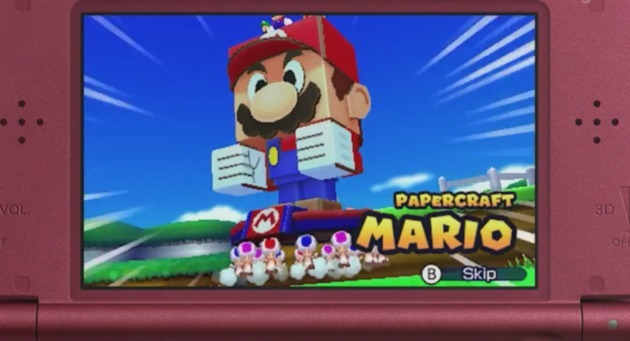 Mario & Luigi: Paper Jam takes many of the beloved elements from Dream Team and takes out all the stuff we didn’t. Notably, the overbearingly excessive amount of tutorials and those horrible 3D giant-luigi fights. Paper Jam is thankfully a game that does not hold your hand, in fact, it’s very sparing with it’s tutorials. All of the lessons you’d expect to learn in the game are tucked away in a Battle Guide that you can digitally thumb through at your leisure, should you need to. This fixes Dream Team’s other biggest problem of holding your hand far too much. Regarding the gameplay, Paper Jam changes things up quite a bit. Exploring the world is your typical RPG fare yet with the addition of a sprint mechanism. While a welcome change for sure, I felt that this actually took away from the game more than it added. Once I was able to get everywhere quicker I found myself constantly speeding through the game more than I liked to. It’s an odd situation where the game made me feel like I had to rush. You’ll also encounter a new toad-hunting mini-game every so often where our Bros. are tasked with hunting down the released Paper Toads and freeing them in any manner of ways. These are a fun, if maybe a little too-often-occurring, twist on the gameplay. While some of the games were interesting such as falling puzzles and chases, other modes that involve herding the toads in to corners and fighting various enemies within a time limit simply seem like a game-lengthening excuse and are certainly some of the worst parts of the game. The new boss fight is a giant mecha-papercraft arena fighting mini-game that pits you against paper craft enemies. These bosses are fun for a time but tend to ware on you once they get a bit longer. They don’t provide much challenge once you determine what enemies need what attack to damage. They say variety is the spice of life though, so I can’t complain much as it is a somewhat necessary break from the constant RPG-ing. Paper Jam excels excellently in all the places you’d expect it to. The turn-based fighting is massively enjoyable and the inclusion of Paper Mario and his unique abilities provides interesting new ways to fight. It’s oddly satisfying getting killed as Paper Mario because you have to re-learn the timing on blocking, and new paper enemies provide twists on the usual gameplay to keep things lively. 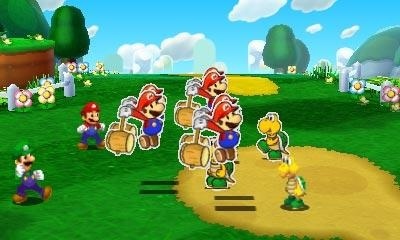 Mario & Luigi: Paper Jam is a welcome addition to the Mario & Luigi franchise and stands solidly as both an RPG and an entry in to the Mario series of games. With the charm we’ve come to expect from the Paper Mario games, Paper Jam is well worth the ample time you’ll be putting in to it. 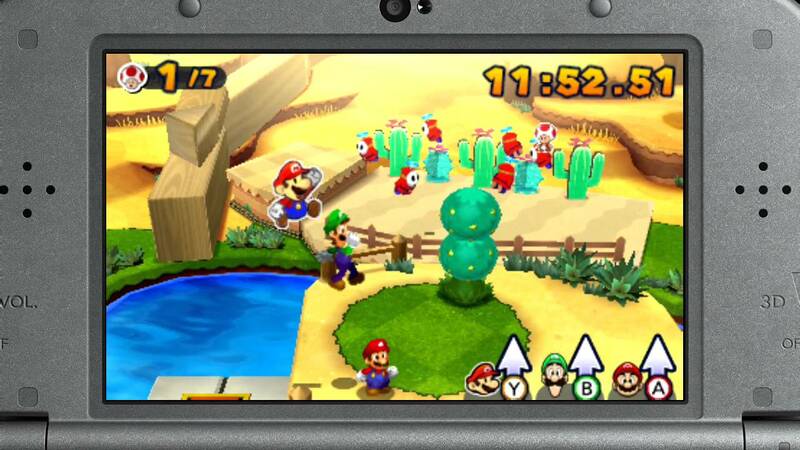 Mario & Luigi: Paper Jam is available now.